Nicole Sciortino and Vincent Licciardello: Why we abandoned our children. ‘I thought it was ok’ Pennsylvania parents leave kids in dirty home (alone) while mom goes on Florida vacation. 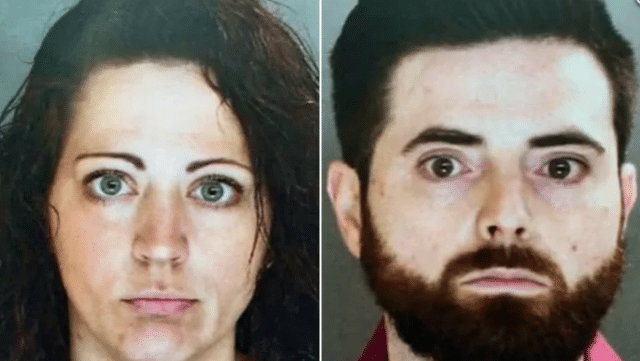 Pennsylvania parents, Nicole Sciortino and Vincent Licciardello are charged with child endangerment after leaving the children home alone while the mother went on a Florida vacation. A Pennsylvania couple have been arrested after abandoning their two children at the mother’s Scranton home (in horrific conditions) while she went on a three day holiday in Florida. The children’s ages were revealed as being ten and eleven reported The Scranton Times-Tribune. Booked with four counts of child endangerment was Nicole Sciortino, 30 along with the children’s father, Vincent Licciardello, 30. Both parents were arraigned Monday morning with neglect charges. Dunmore Police found the house in disarray, with pizza boxes, fast food wrappers, and clothes scattered across the floors. A basket with Sciortino’s medication was unsecured. The temperature inside the home was 58 degrees, with Sciortino’s 11-year-old son found wearing his winter coat indoors. Authorities arrived at the Lackawanna County home on March 7 after it was reported that two children had been left alone for weeks. 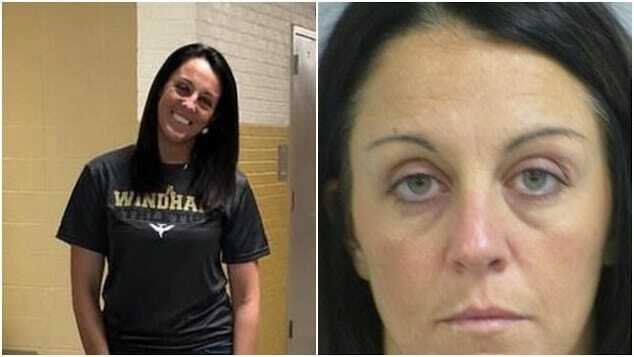 Police had Scirotino’s 10-year-old daughter call her on FaceTime with an iPad, and the mother first claimed to police that she wasn’t far away. Sciortino eventually admitted she was in Florida and claimed a March 4 flight had been canceled due to weather in New York. Nicole Sciortino and Vincent Licciardello leave their children with a working microwave oven. 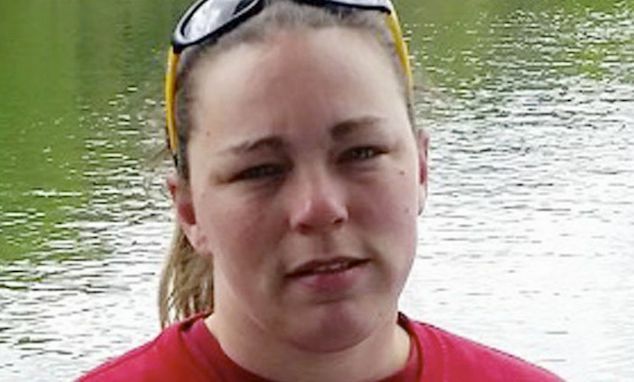 Further investigations led to officers discovering the children in fact having been left alone for three days, and that Licciardello had dropped the boy and girl off at their mother’s house on March 5. Sciortino claimed that the children were supposed to be staying with Licciardello, who lived about five miles away. Licciardello told authorities that his car had broken down, but that he occasionally dropped off food for the children and checked in with them over the phone reported the dailymail. 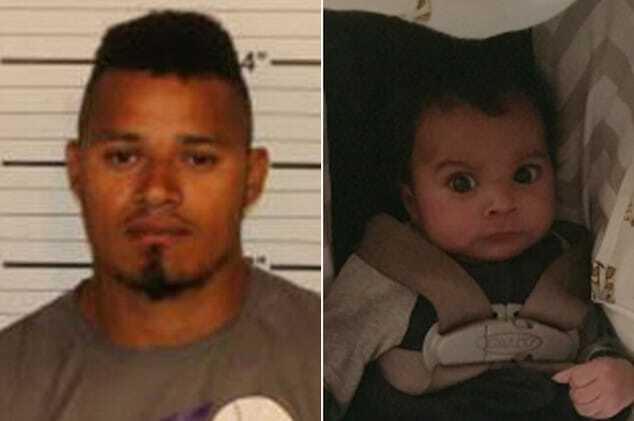 The father, who never stayed with his son and daughter in Sciortino’s house, also claimed that she did not like when their children slept at his apartment. The children told police they had been left alone overnight and that their mother would call in the mornings to wake them up for school. They would get ready themselves and walk to a nearby bus stop. They would eat breakfast at school, if at all. The 10-year-old also told police she had used the microwave to make them macaroni and cheese. The boy told police that Sciortino had showed him how to fill the furnace with water just in case the heat shut off. Officers later discovered that one of the children had missed 16 days of school this year, while another had missed 26 days. They called the county’s Office of Youth and Family Services and the children are now staying with family friends, according to WNEP. 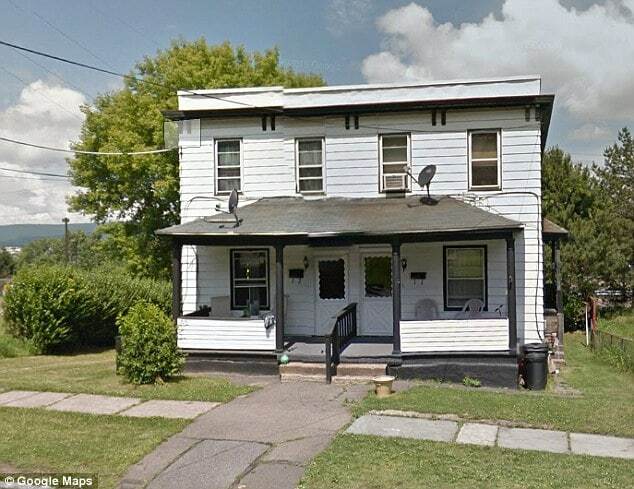 Pictured, Nicole Sciortino’s Scranton, Pa, home where police found the with abandoned children with pizza boxes, fast food wrappers, and clothes scattered across the floors. Of note, the mother told cops that she was unaware it was against the law to leave children alone at home for long periods of time. 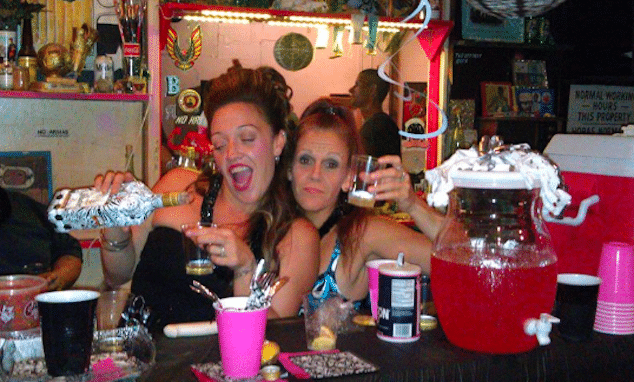 She also told them she ‘didn’t think it was really that bad’, according to the arrest report. Upon being charged, Sciortino and Licciardello were released on $10,000 unsecured bail. Their preliminary hearings are scheduled for March 27.